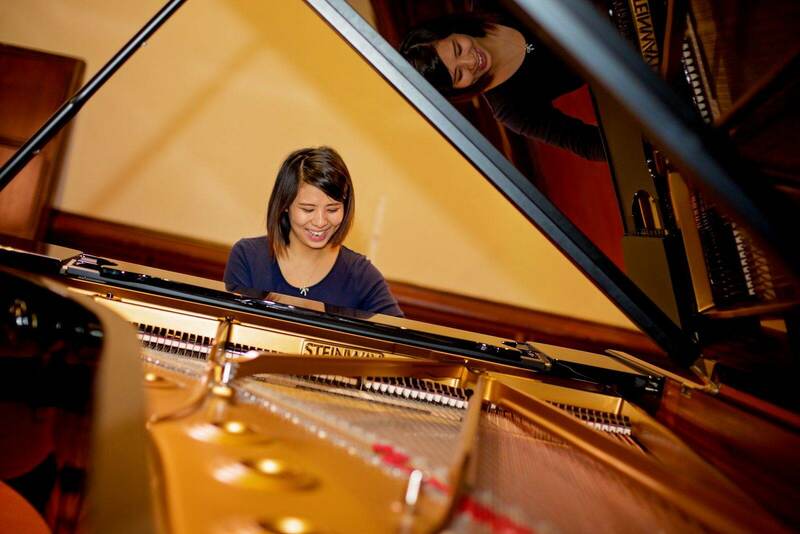 Meet Yiwei: Bachelor of Music with Honours (Performance and Pedagogy) student at the Elder Conservatorium of Music. Although Yiwei has been playing the piano since the age of six, she initially came from Malaysia to Adelaide to study nursing. She soon realised that it was not for her and is now in her fourth year studying Honours in music. “In Malaysia, there isn’t a big focus on music,” she said. “You need to find a path yourself”. Yiwei talks about music all the time and she found that there were many options for studying something that she is very passionate about. The most memorable thing for Yiwei about Adelaide is the learning environment provided by the University to all its students. “There is a different education system here in Australia compared to Malaysia,” she said. “Content in Malaysia is spoon fed to students, but here in Adelaide teachers are more inspiring and guide you to form your own opinions. Teachers at the University tailor education to the student”. “The University tries to train versatile musicians and expose its students to more than one area of music,” Yiwei said. Now that Yiwei is studying Honours, she has fewer classes to attend, but she spends a lot of time at the library doing research. Her Honours thesis focuses on stylistic influences in the music of ‘Star Wars’ films. Yiwei is a piano teacher and accompanying specialist in classical music, but she enjoys various music styles and genres. She has already played a recital at The University’s Elder Conservatorium of Music. While visiting Sydney and Melbourne, Yiwei found these cities to be too busy for her. She prefers studying in Adelaide because it has a relaxed environment that allows her absorb more content. “I want to continue living in Adelaide once I graduate as the job opportunities here are better,” she said. “I’m focusing my efforts on teaching music once I complete Honours, and am planning on applying for permanent residency”. Yiwei enjoys WOMADELAIDE and the Adelaide Fringe Festival. When she’s outside the classroom, she wants to get away from study and music by going to comedy shows at the Adelaide Fringe, together with seeing artists, events and recitals. This entry was posted in News, Research and tagged elder conservatorium, honours, malaysia, music, piano, star wars, Student Profile, thesis. Bookmark the permalink.